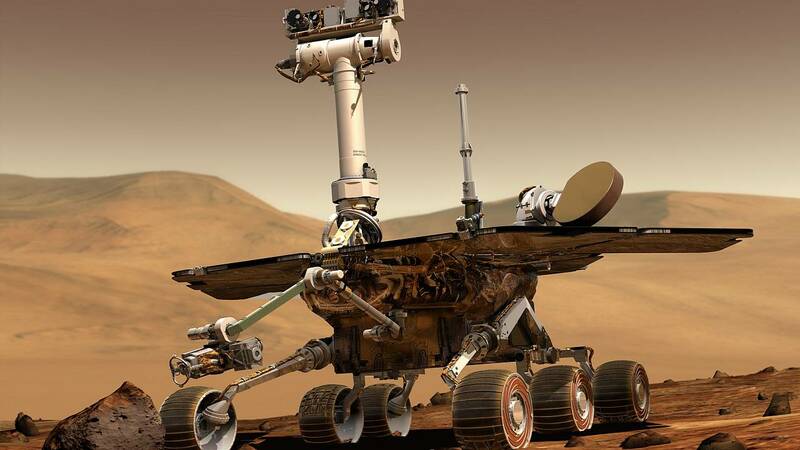 After falling silent eight months ago during a severe dust storm that swept across the Red Planet, NASA's Mars Opportunity rover has been officially declared dead. NASA made the announcement Wednesday during an emotional media briefing at the space agency's Jet Propulsion Laboratory in Pasadena, California. The agency said it had ended its efforts to communicate with Opportunity after sending more than 1,000 radio signals its way, including some just last night. "I was there yesterday and I was there wth the team as these commands went out into the deep sky, and I learned this morning that we had not heard back," Thomas Zurbuchen, associate administrator of NASA's Science Mission Directorate, told reporters. "Opportunity remains silent."